Software defined networking (SDN) and network functions virtualization (NFV) are two closely related technologies that are both toward network virtualization and automation. The occurrence of these two technologies are mainly driven by the requirements for robust data management systems and access to bandwidth by servers located at different sites and connected over long distances through public and private clouds. 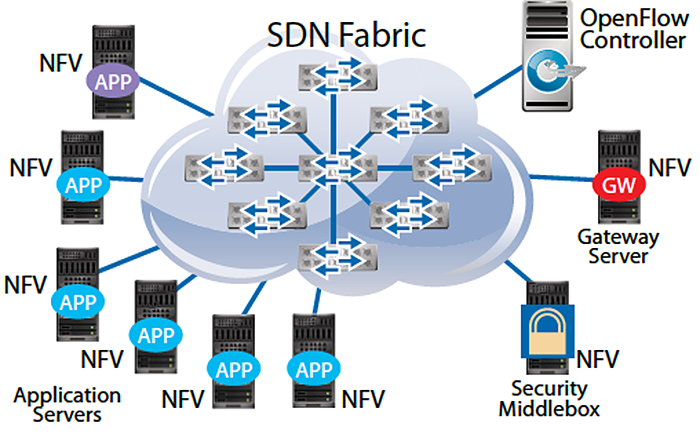 SDN and NFV have some similarities but they are different in many aspects. In addition, though SDN and NFV are highly promoted as next-generation dominants in recent years, there are still many challenges in successfully deploying them. This post will give some basic knowledge of SDN vs NFV, and the challenges faced in implementing SDN and NFV. SDN vs NFV: What Are They? Although SDN and NFV are both network virtualization technologies, they’re really not dependent on each other. And it is not always necessary to involve them in the same network. The infrastructures of SDN and NFV will be explained in the following text, and the major differences between them will be displayed. The function of SDN is somewhat hinted by its name. With SDN, the users are able to manage and control the entire network through software that makes networks centrally programmable. It achieves this by separating the system that decides where traffic is sent (the control plane) from the underlying system that pushes packets of data to specific destinations (the data plane). As known to network administrators and value added resellers (VARs), SDN is built on network switches that can be programmed through an SDN controller based on an industry standard controller like OpenFlow. Network function virtualization is similar to traditional server virtualization mechanisms but clearly focuses on networking services. Within NFV, they’re virtualized network functions. It means NFV separates network functions from routers, firewalls, load balancers and other dedicated hardware devices and allows network services to be hosted on virtual machines. Virtual machines have a manager, which allows multiple operating systems to share a single hardware processor. SDN vs NFV: What Are the Differences? Both SDN and NFV rely on software that operates on commodity servers and switches, but both technologies operate at different levels of the network. They are not dependent and you could perfectly have just an NFV platform operating a piece of your environment without the inclusion of full-developed SDN or only SDN. The following figure shows a use case of SDN and NFV. The differences between SDN vs NFV can be summarized from five aspects. They are presented in the table below. Basics SDN separates control and data and centralizes control and programmability of the network. NFV transfers network functions from dedicated appliances to generic servers. Areas of Operation SDN operates in a campus, data center and/or cloud environment. NFV targets the service provider network. Initial Application Target SDN software targets cloud orchestration and networking. NFV software targets routers, firewalls, gateways, WAN (wide area network), CDN (content delivery network), accelerators and SLA (service level agreement) assurance. Protocols OpenFlow. No protocols, yet. Supporting Organization Open Networking Foundation (ONF). ETSI NFV working group. Though SDN and NFV are promising technologies, there are still many roadblocks in their deployments. Complete standards and proven examples are still needed for wider implementation of SDN/NFV. Security is one of the biggest concerns in implementing SDN. While centralized control and virtualization of network topology are powerful assets that SDN allows, they also create new security vulnerabilities that must be addressed. The positive side of implementing SDN is that the user is able to make uniform security policies across the whole system. But naturally, the negative side is that, if the SDN controller is successfully hacked, the attacker would have complete control of the system. Another major challenge is the scalability of SDN systems, in the view of the virtualization that comes with the SDN systems (via NFV). It is a fact that the continuous growth of network data consumption makes scalability a challenge for any network system. If integrated properly, SDN can improve the scalability in a given data center or network. But there are scalability concerns raised by the SDN architecture. Since it is a single item, the centralized SDN controller is not necessarily scalable for larger networks. This also presents a single point of failure in the network, which would be dangerous if the controller or an uplink device fails. There are potential solutions to this problem, but these are still in development. As for NFV implementation, there are challenges for NFV independent software vendors (ISVs). The first challenge is to develop an innovative, virtualized product that meets the reliability and scalability requirements of the telecom industry. In addition to technical challenges, ISVs also have to develop a concise value proposition to convince the large telcos why they should adopt a new, unproven product into their highly complex network operations. To sum up, when SDN vs NFV, it is no doubt that both of them can bring many benefits to network administrators by accomplishing virtualization and automation of the systems. And it also cannot be denied that there are still many improvements needed to be made for SDN and NFV deployments. Knowing the pros and cons of them can help in correctly facing these technologies and avoid blind following up or complete refusal to new products. FS.COM has announced new 10/40/100GbE open networking switches for data centers and enterprise networks, which support SDN/NFV. Also high performance 40G and 100G DAC and optical transceivers are provided at competitive prices. For more details about SDN switches, please visit www.fs.com or e-mail to sales@fs.com. SDN and NFV: What Is the Difference? 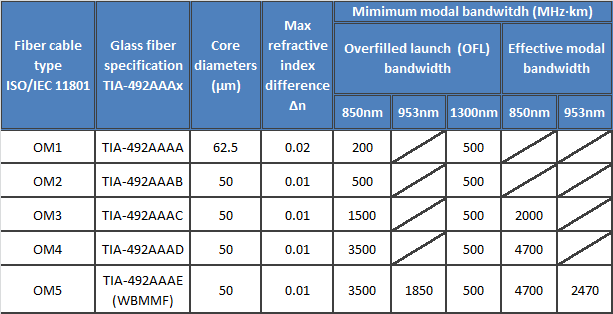 Since we have discussed connectivity solutions for two duplex optics or two parallel optics in the last post (see previous post: Connectivity Solutions for Duplex and Parallel Optics), the connectivity solutions for parallel to duplex optics will be discussed in this article, including 8-fiber to 2-fiber, and 20-fiber to 2-fiber. When directly connecting one 8-fiber transceiver to four duplex transceivers, an 8-fiber MTP to duplex LC harness cable is needed. The harness will have four LC duplex connectors and the fibers will be paired in a specific way, assuring the proper polarity is maintained. This solution is suggested only for short distance within a given row or in the same rack/cabinet. This is an 8-fiber to 2-fiber interconnect. The solution in figure 2 allows for patching on both ends of the fiber optic link. 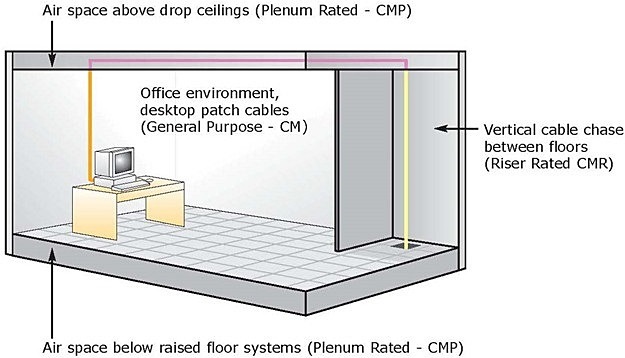 The devices used in this link are recorded in the table below figure 2. Figure 3 is also an interconnect for 8-fiber parallel QSFP+ to 2-fiber SFP+. 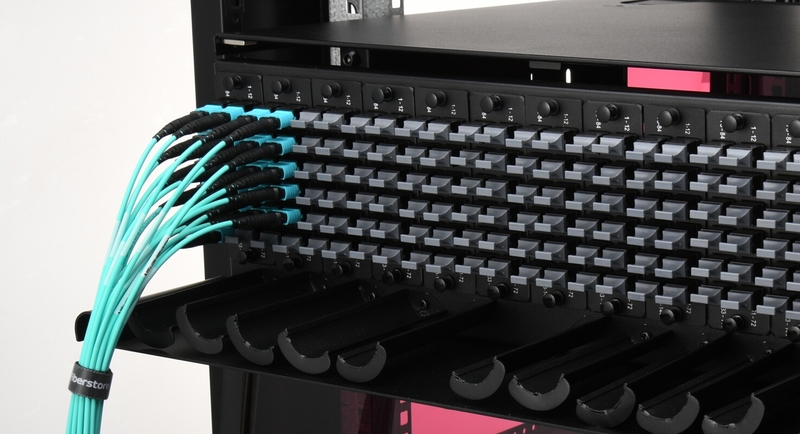 This solution is an easy way for migration from 2-fiber to 8-fiber, but it has disadvantage that the flexibility of the SFP+ end is lacked because the SFP+ ports have to be located on the same chassis. 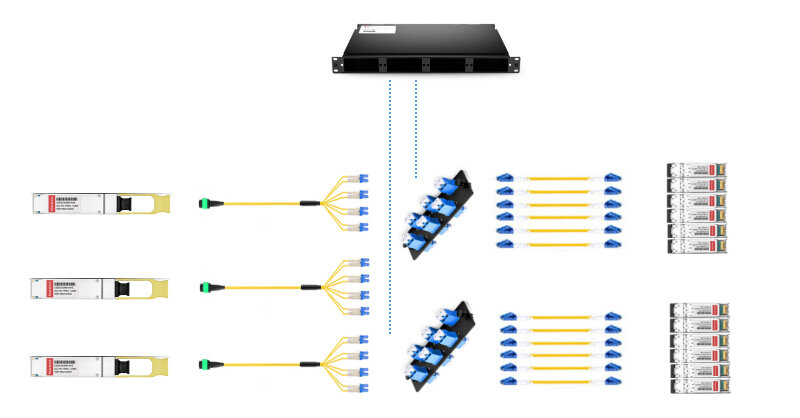 Figure 4 shows how to take a 20-fiber CFP and break it out to ten 2-fiber SFP+ transceivers. The breakout modules divide the twenty fibers into three groups, and ten LC duplex cables are used to accomplish the connectivity to SFP+ modules. There are two cross-connect solutions for 8-fiber parallel to 2-fiber duplex. The main difference for figure 5 and 6 is on the QSFP+ side. The second cross-connect is better for a greater distance between distribution areas where the trunk cables need to be protected from damage in a tray. These solutions are simple explanations to duplex and parallel optical links. It seems that the difference between each solution is not that significant in plain drawing, but actually the requirements for components are essential to an efficient fiber optic network infrastructure in different situations. Whether it is a narrow-space data center or a long-haul distribution network that will mostly determine the cabling structure and the products used.